Westerby Investment Management will provide an insight into Inheritance Tax Planning and Cashflow Modelling in retirement at two conferences to be held in November at The Royal Automobile Club, Pall Mall, London and Leicester’s Y Theatre. 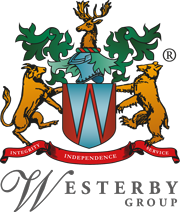 Westerby Investment Management advisers will be joined by key investment strategists from Tatton who will give an insight into investment markets over the last 6 months with an outlook to April 2019. The London conference will be held in the Committee Room at the RAC Club on Thursday 8 November with a reception at 10.30am with presentations from 11- 12.30pm followed by light refreshments. The conferences come at a time of continuing business growth for Westerby Investment Management with a 50 per cent increase in staff over the last five years and turnover and pre-tax profits more than doubling.